Anatomist in Paris; born 1790 died 1883. Cloquet's canal = A vestige of the embryonal A. hyolidea. 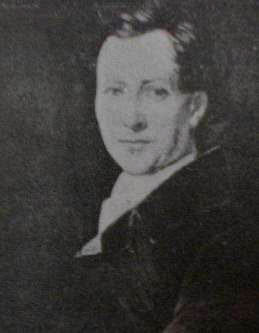 Jules Germain Cloquet was the younger brother of Hippolyte Cloquet (1787-1840). He initially worked as an apprentice in the workshop of his father who was a draughtsman, and later as modeller of anatomical figures in the faculty of Paris. He first studied the natural sciences in Rouen, but came to Paris in 1810 to devote himself to medicine. Already the following year he was preparator of anatomy at the medical school, becoming prosector at the faculty in 1815. In 1817 he was conferred doctor of medicine with a dissertation on abdominal hernias, of which he had sectioned some 300. Hernias remained an important element of his research. The same year he was awarded a prize from the Académie des sciences for a treatise that was not published until six years later. In 1819 Cloquet competed successfully for a position as Chirurgien en chef adjoint at the Hôpital St. Louis. Besides his work on hernias, he is also credited with the first description of the central canal of the vitreous (the hyaloid canal). In 1821 he was elected one of the first members of the Academy of Medicine. In 1824, through concours, he was appointed professor agrégé of surgery. In 1831, once more through concours, he was appointed professor of surgical pathology at the Medical Faculty of Paris, in 1834 also of clinical surgery. He had to resign from all practical activities in 1841-1842, as his health condition no longer permitted him to continue. However, in 1844 he was a member of the exhibition jury, and in 1851 was appointed chirurgien consultant to the emperor. In 1855 he became a member of the Academy of Sciences. Cloquet commenced the publication of his famous work Anatomie de l'homme in 1821. The complete work contains some 1300 illustrations, most if them made by Cloquet himself, and took ten years to publish in extenso. Cloquet reformed theoretical education through the use pictures and preparations. His lectures were collected and published by Dominique-Jean Baron Larrey (1766-1842). Besides a large number of treatises on surgery and anatomy, Cloquet is credited the invention of several surgical instruments, among them the artery forceps and a device for the removal of foreign bodies. De la squeléttopée, ou de la préparation des os, etc. Paris, 1815. Recherches anatomiques sur les hernies de l’abdomen. Doctoral thesis, Paris, Méquignon-Marvis, 1817. Cloquets's medical thesis, it was followed by his thesis in competition for head of the anatomy section of the Paris Faculty: Recherches sur les causes et l'anatomie des hernies abdominales. Paris, Méquignon-Marvis, 1819. The litographic plates in the work of 1819 were drawn by Cloquet himself, and are among the earliest litographed medical illustrations. Mémoire sur la membrane pupillaire, et sur la formation du petit cercle artérial de l’iris. Paris, 1818. Anatomie des vers intestinaux: Ascaride lombricoïde et echinorhynque géant. Prize-winning (Académie des sciences) treatise, 1818. Recherches sur les causes et l’anatomie des hernies abdominale. De la squeléttopée et rechercehs sur les causes et l'anatomie des hernies abdominales. Paris 1819. 2nd edition augmentée par Étienne-Rénaud-Augustin Serres (1787-1868), Bruxelles, 1824, 1836. These works were written in competition for the anatomy chair at Paris. The first gives directions for the preparation of a human skeleton from cadaver to mounted specimen, while the second covers the causes and anatomy of the abdominal hernia and contains a series of lithographs drawn by the author. The work is based on Cloquets's experience with more than 500 hernia cases. De l’influence des efforts sur les organes renfermés dans la cavité thoracique. Nouveau Journal de médecine. T. 6. Concours-thesis for Chirurgien en chef adjoint, Hôpital Saint-Louis, 1819. Anatomie de l’homme, ou description et figures lithographiées de toutes les parties de corps humain. 5 volumes. A l'Imprimerie Lithographique de M. Engelmann et Compagnie - Chez Monsieur Le Comte De Lasteyrie - De l'Imprimerie de A. Belin, Paris, 1821-1831. The first anatomical atlas illustrated by lithography, containing 300 plates in folio format. This was probably the most elaborate of the litographic incunabula produced by Lasteyrie, one of the pioneer lithographers in France. Manuel d’anatomie descriptive du corps humain. 1825-1835. English translation by John D. Godman (1794-1830), Boston, 1827. Mémoire sur les calculs urinaires. 1822. An in curanda oculi suffusione (vulgo cataracte) lentis crystallinae extractio hujus depressione praestantior? Concours-thesis for agrégé. Pathologie chirurgicale. Plan et méthode qu’il convient de suivre dans l’enseignement de cette science. Concours-thesis for the chair of surgical pathology, 1831. English translation by J. W. Garlick and W. Copperthwaite, London, 1833. Mémoire sur les concrétions intestinales (entérolithes, égagropiles etc). 1855. Mémoire sur une méthode particulière d’appliquer la cautérisation aux divisions anormales des certains organes. 1855.